A chain of islands extending from the Bahamas in the north to Trinidad in the south, the Caribbean or West Indies is a region of extraordinary cultural. 2 A chain of islands extending from the Bahamas in the north to Trinidad in the south, the Caribbean or West Indies is a region of extraordinary cultural and linguistic diversity. 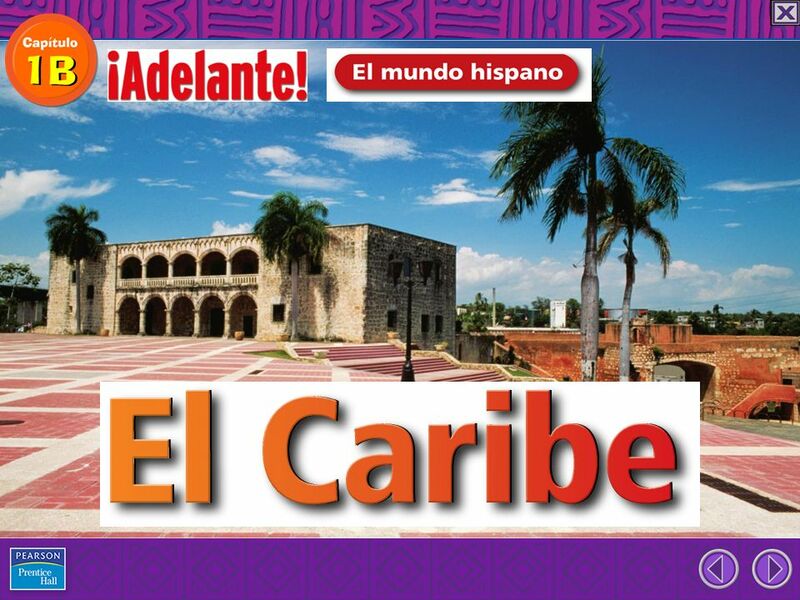 The Spanish-speaking countries are Cuba, Puerto Rico, and the Dominican Republic, which occupies the eastern portion of the island of Hispaniola. 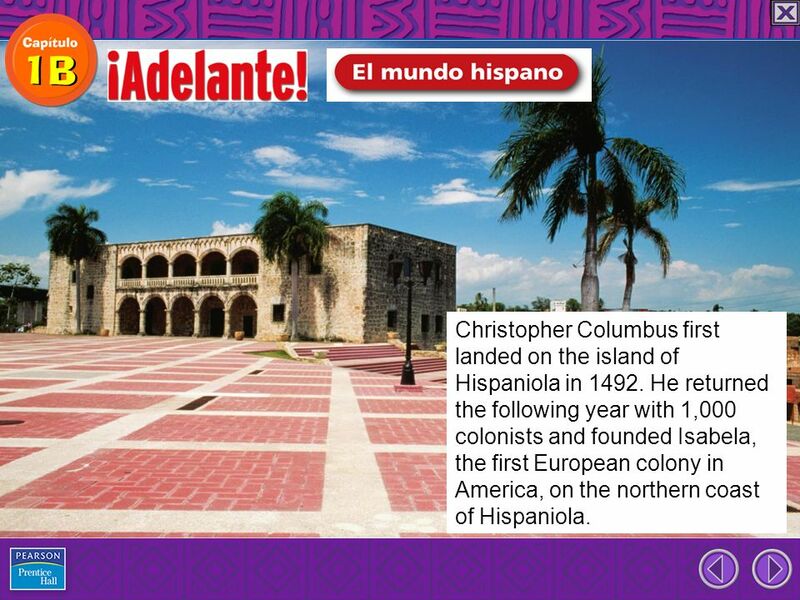 3 Christopher Columbus first landed on the island of Hispaniola in 1492. He returned the following year with 1,000 colonists and founded Isabela, the first European colony in America, on the northern coast of Hispaniola. 7 (A mí) no me gusta. I dont like to. (A mí) no me gusta I dont like nada. to at all. A mí tampoco. I dont (like to) either. 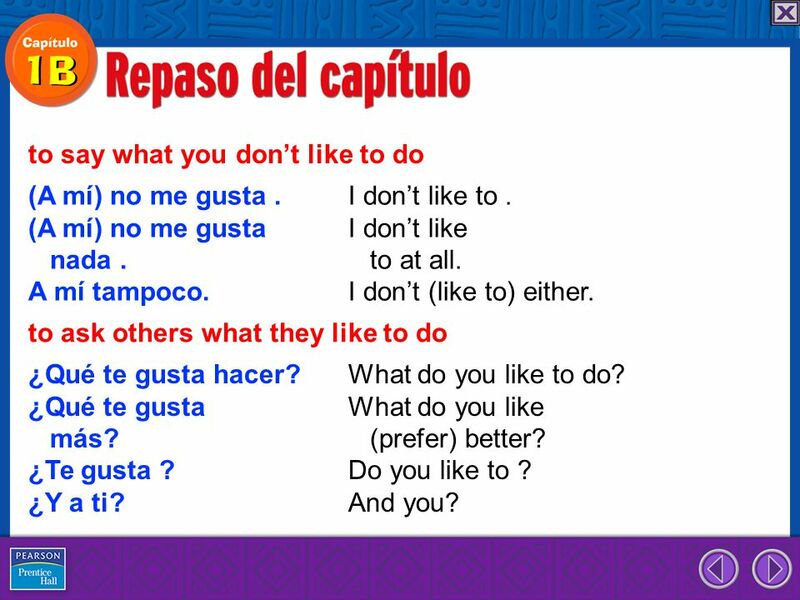 to say what you dont like to do to ask others what they like to do ¿Qué te gusta hacer? What do you like to do? ¿Qué te gusta What do you like más? (prefer) better? ¿Te gusta ? Do you like to ? ¿Y a ti? And you? 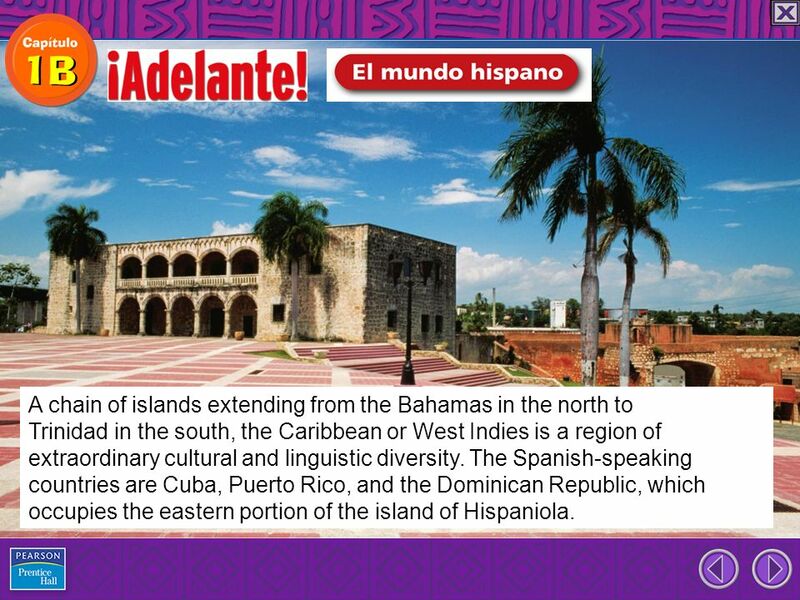 Download ppt "A chain of islands extending from the Bahamas in the north to Trinidad in the south, the Caribbean or West Indies is a region of extraordinary cultural." By the end of class…. 1. you will be able to talk about activities you like and don’t like to do AND 2. ask others what they like to do and either agree. Adjetivos descritivos Spanish 1. ALTO TALL ARTÍSTICO (A) ARTISTIC. Vocabulario 1-A ¿Qué te gusta hacer?. To go to school. ir a la escuela to swim nadar. Expressing Negatives Sp. 1 ch.1A. Expressing Negatives To make any statement negative, simply place the word no in front of the verb or expression. Me. 0 1 Capítulo 1A Tarjetas de vocabulario By: Malinda Seger Coppell High School Coppell, TX Learn a new language and get a new soul. ~Czech Proverb. Capítulo 1B Tarjetas de vocabulario By: Malinda Seger Coppell High School Coppell, TX No culture can live, if it attempts to be exclusive. ~ Mohandas. Jeopardy! Chapter 1B Review: Personality Traits. Agreement or Disagreement P. 38 Realidades 1 Agreement or Disagreement n To agree with what a person likes, you use a mí también. n Its like saying me. 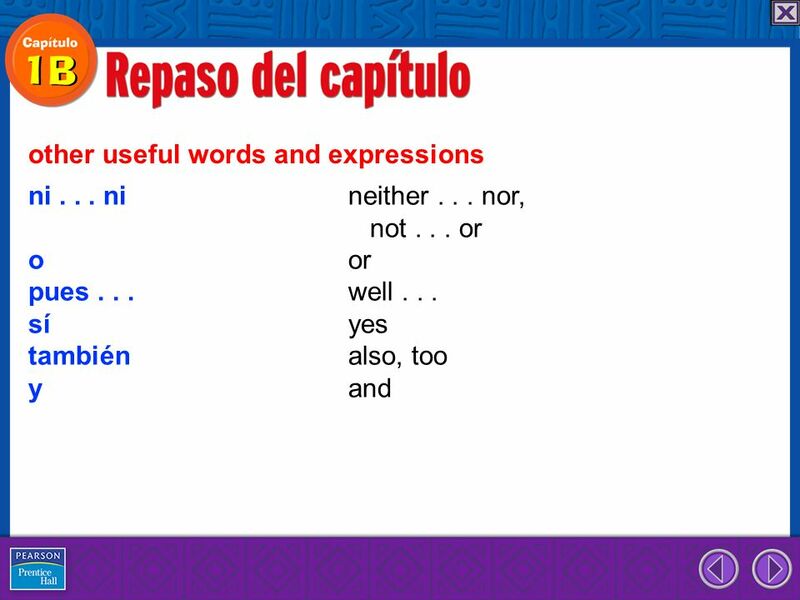 Agreement P. 38 Realidades 1 Agreement n To agree with what a person likes, you use a mí también. n Its like saying me too in English. Español 1 el 15 de octubre. Ni…..Ni If you want to say that you do not like either of two choices, use ni….ni to mean “neither nor” or “not….or”. For example: No me gusta ni nadar. 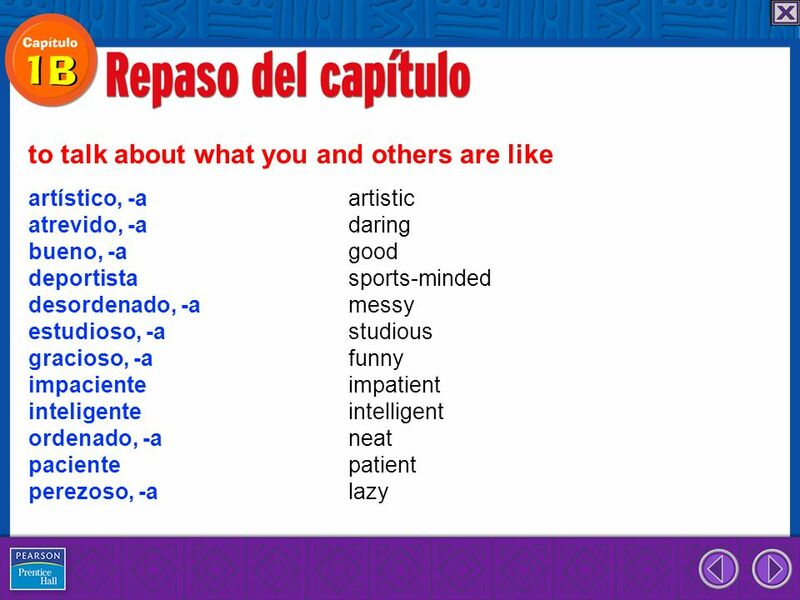 Adjectives P. 55 Realidades 1. Chapter 1A ¿Qué te gusta hacer?. bailar to dance. ¿Qué te gusta hacer?= What do you like to do?